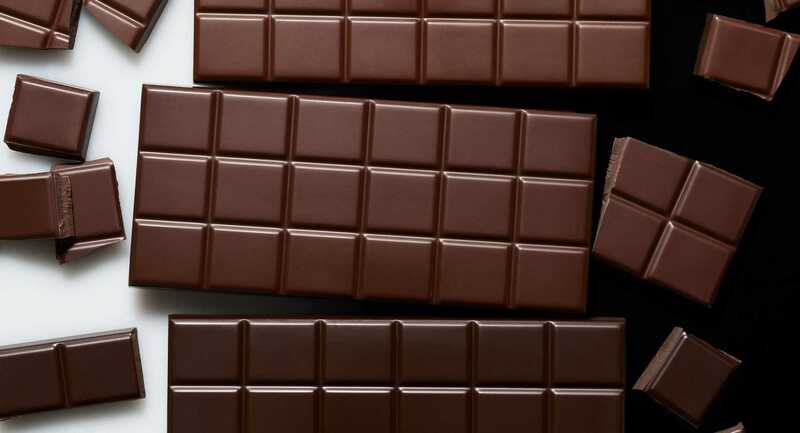 Small daily portions of dark chocolate with added natural polyphenols from extra virgin olive oil was associated with an improved cardiovascular risk profile, researchers found. The results of a new study carried out by researchers from the University of Pisa showed that dark chocolate enriched with extra virgin olive oil improved cardiovascular risk profile in participants. The study compared the effects of dark chocolate supplemented with Italian Panaia red apple against dark chocolate enriched with EVOO on atherosclerosis (hardening of the arteries) progression in healthy volunteers with cardiovascular risk factors. The results showed that the EVOO and chocolate combination was more effective in improving cardiovascular risk profile than the red apple combination. The olive oil enhanced chocolate boosted ‘good’ cholesterol levels, lowered high blood pressure and significantly raised endothelial progenitor cell (EPC) levels which are vital for blood vessel function and repair. During the 28-day trial, the volunteers were given a daily 40-gram sample of dark chocolate. For 14 consecutive days the chocolate was enriched with 10 percent EVOO and on the other 14 days, the chocolate contained 2.5 percent Panaia red apple. The study was carried out on 26 volunteers made up of 14 men and 12 women, all of whom had at least three cardiovascular risk factors which ranged from smoking, dyslipidemia (an abnormal amount of lipids in the blood), high blood pressure or a family history of cardiovascular disease. The volunteers smoking status, body mass index, blood pressure, glycemia and lipid profile were also monitored during the study. At the end of the trial, the researchers concluded that the olive oil enriched chocolate had substantially increased EPC levels and high-density lipoprotein (good cholesterol) and lowered blood pressure in volunteers. The subjects also showed reduced signs of atherosclerosis progression. The apple enriched chocolate merely led to an insignificant decrease in triglyceride levels and no critical health changes. Olive oil chocolate first made the headlines in 2,000 when French chocolatier L’Espérantine de Marseille’s olive oil chocolate won the coveted Cordon Bleu award at the INTERSUC conference in Paris. A number of chocolate manufacturers have followed suit and gone on to launch olive oil chocolate. Earlier this year, chef Thomas Keller and Italian olive oil producer, Armando Manni launched K+M Extravirgin Chocolate. The duo spent five years on research and development before perfecting their recipe for an olive oil chocolate that would be good for the body and soul.